Sunday worship is at the heart of Caldy Valley's Christian witness, our services being led by the minister or by visiting local ministers and lay people. 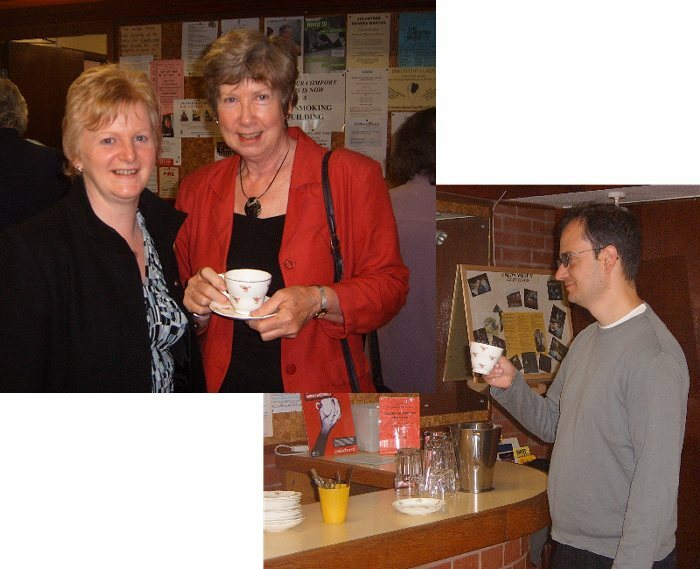 We aim to promote a range of involvement by members of the congregation. We try to include a balance of traditional hymns and contemporary worship songs. Drama, PowerPoint and video are used from time to time to support the more traditional sermon and prayers. We aim to make worship spiritual, meaningful and relevant; challenging but not overbearing. Fair Trade tea and coffee is served after morning service. Please see What's Happening at Caldy Valley for details of forthcoming services. Children of all ages are always welcome at the 10.45am service. While at present our Junior Church classes and Creche are not meeting regularly, separate activities are provided at the back of the main Worship area, worksheets based on the worship theme for sc hool-age children, and play activities for little ones. If numbers were to increase, regular groups would start again, as we are committed to sharing the Christian story with any children who come. Occasional morning services are arranged to include our mid-week youth groups and uniformed organisations, and these services are designed for all ages. 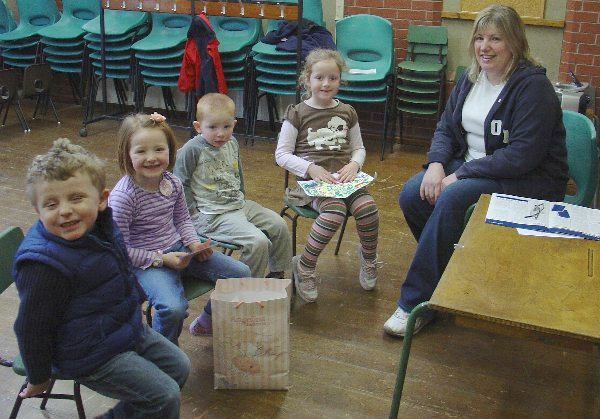 We also run "Messy Church" for families with young children on the third Monday of the month from 4pm - 6pm. 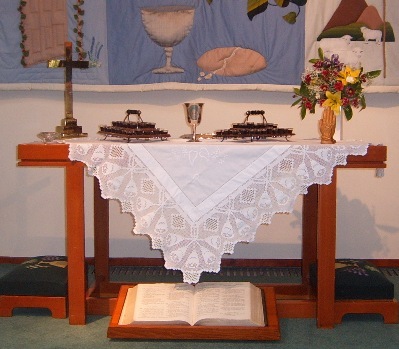 We celebrate Holy Communion twice each month, normally during the morning worship on the third Sunday and during the evening on the first Sunday. We feel that it is important that our children join us for this part of the service. They either receive the bread and wine or a blessing, whichever is appropriate. 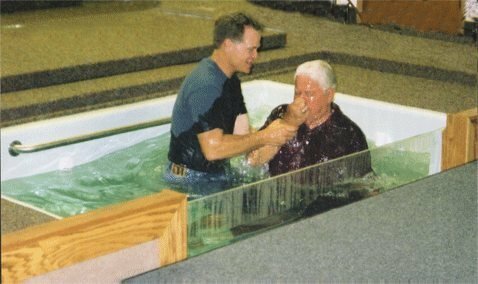 In keeping with our understanding of the Bible, we practice both infant and adult baptisms (also known as believers' baptisms). Baptism takes place during worship and you will need to speak to our minister about this in advance. After a morning of Christian fellowship, what better than a cup of tea or coffee! Please feel free to stay after worship for a drink and a chat. Get to know us a little better. 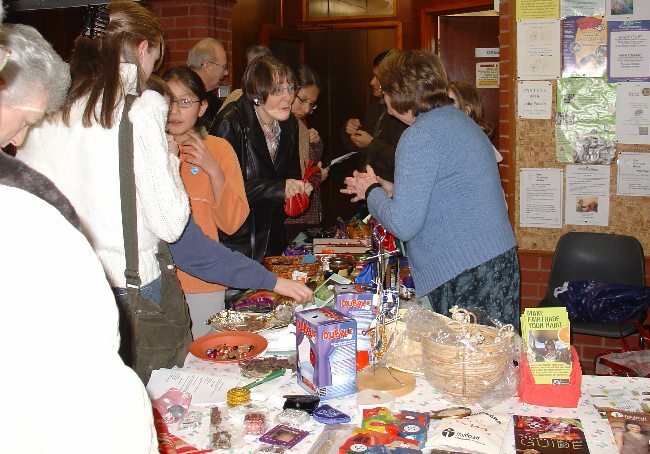 There is a Fairtrade stall every Sunday morning with a variety of goods for sale after the service. The Fairtrade tea, bisc uits and coffee are popular purchases, together with chocolate for those who just cannot resist the temptation. The Fairtrade organisation is committed to providing its suppliers with a living wage.